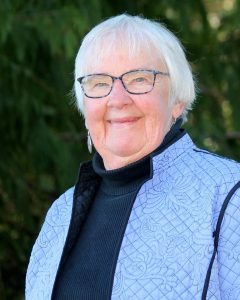 Reverend Carol McKinley was honored as the 2019 recipient of the Evan Ferber Peacemaker Leadership Award by the Dispute Resolution Center of Thurston County (DRC). The award was presented at the DRC’s annual fundraising event, The Toast, on April 14, 2019. Upon finishing her schooling, she was ordained as a community minister through the Olympia Unitarian Universalist Church (OUUC). “As a minister, my work has always focused on the larger community and on justice work,” she shares. “There are many things in this world I am very grateful for. Marriage equality is one of them,” says Carol. “My wife and I were married first in 2001 in a church service, but it wasn’t legal.” In 2012, she was able to finally legally marry poet and playwright Barbara Gibson. The couple often worked together on creative and social justice projects before Barbara passed away in 2017. “The big advantage of living in a community for 50 years is pretty soon you get to know all aspects of the community, the doers. You know people in politics, nonprofits, business.” Those connections are really important. Carol knows who to bring together to work on solutions. Carol is an active member of Concerned Clergy of Olympia and Interfaith Works. When incidents of violence or hate happen in our community or elsewhere in the world that target a particular faith or community, the call goes out and Carol lines up with many others in front of the mosque or synagogue, so worshipers going to services see their love and support. 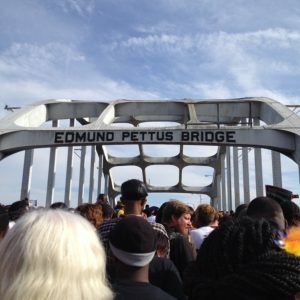 The faith leaders also don their collars, shawls, or robes and join peace marches to provide a respectful, calming presence. Carol has noted that often conflict arises when we focus on differences, placing people in the category of “other.” Her response has been to offer opportunities to learn from those we perceive as different. She has held classes to study a particular subject of concern, and invites people with direct experience to speak. Mustafa Mohamedali would always come to Carol’s class on the Qur’an. He talked about the local Muslim community. “It was formed in the 1980s by Cambodian refugees. People fleeing Pol Pot and the killing fields,” Carol relates. 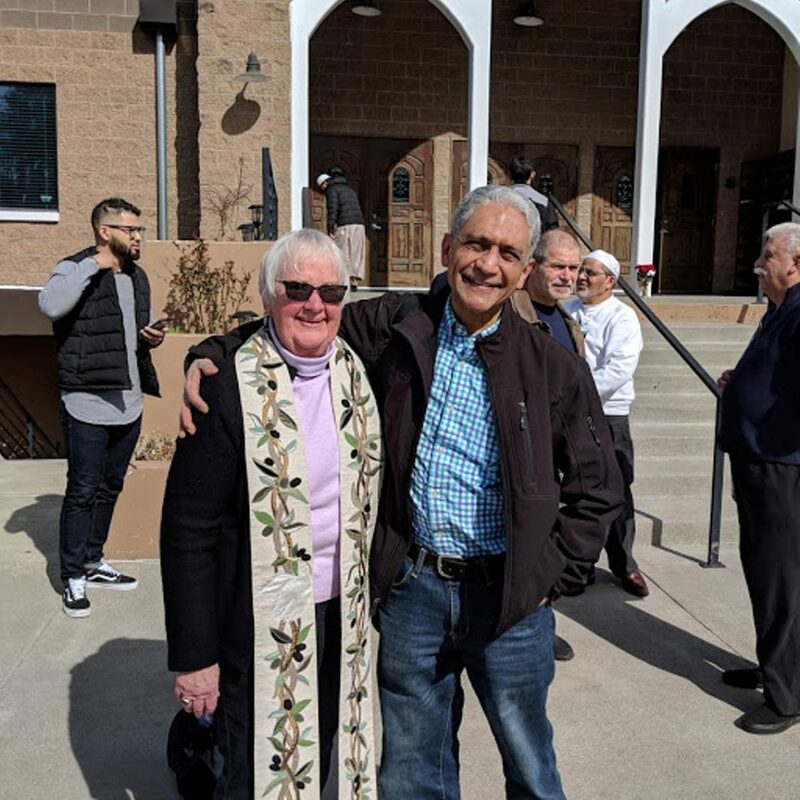 “That was the foundation of our Muslim community and Islamic Center.” Carol often attends the First Fridays at the mosque to continue building connections with our Muslim neighbors. 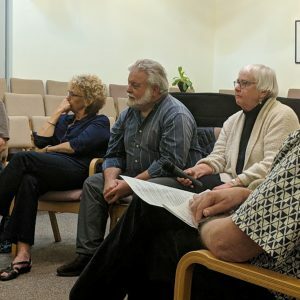 “One of the first groups to reach out and which we work together with is the Black Alliance of Thurston County. Dr. Karen Johnson who was the spokesperson for the Black Alliance got together with me and Tammy Stampfli, the minister of United Churches, and suggested we do this film series.” The year-long series was called Racism in Film. They showed popular movies, and then talked about how race was depicted and how that might shape public perception. “Everyone was welcome not just the members of our churches. We wanted the larger community there. People loved that series,” says Carol.